What stresses you out? The shopping crowds at Christmas? The bills to pay after Christmas? Meeting with your supervisor? Time with your family? 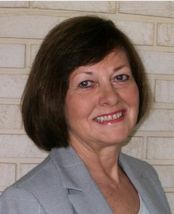 Donna May, Stress Management Counselor, has a Master of Arts degree in education from Eastern Michigan University. Since 1993 she has also been a health educator and stress management consultant at Botsford Hospital in Farmington Hills. Donna has conducted numerous stress management, meditation and positive living workshops for hospital personnel, patients, businesses, community groups, schools and colleges. She has had experience presenting to all age levels from Head Start to senior citizens. Donna is also a clinical and medical hypnotherapist certified through the American Council of Hypnotists Examiners. In her individual appointments with clients, she utilizes many additional mind-body methods such as Neuro Linguistic Programming (NLP), Emotional Freedom Technique (EFT), Reiki Energy work and the Yuen Method of Energy work. She has a special interest in empowering people to understand the power of their thoughts in creating health and well-being.